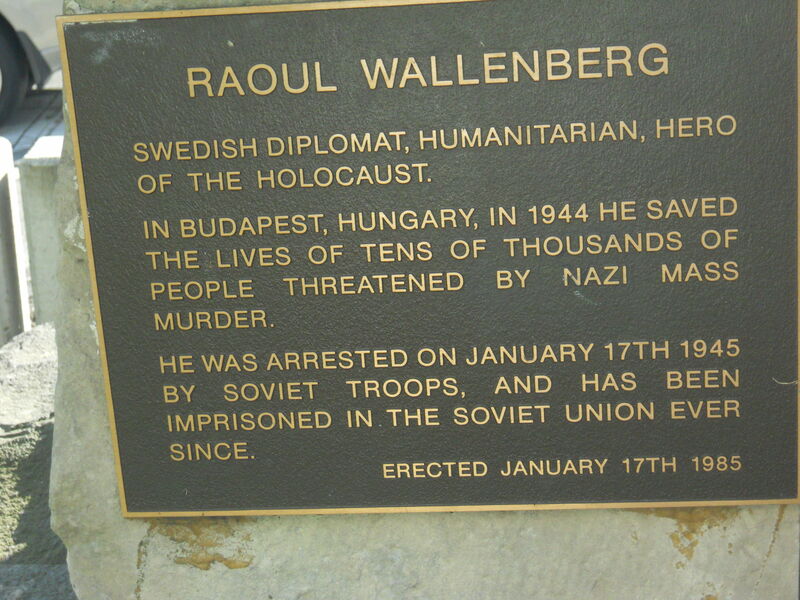 Melbourne – A Holocaust Hero, a Swedish Student, Raoul Wallenberg (1912 – ) is surprisingly ‘re-discovered’ in Australia by this alum of his American university. His life, now 100 years since his birth, inspires individuals who can make a difference. Down under, driving, looking left, I saw a monument to an alum of my distant university. 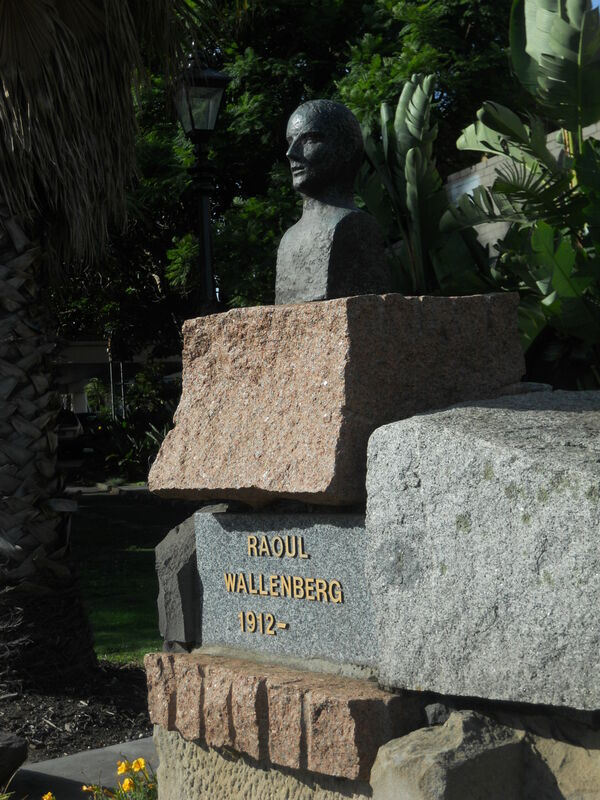 Months later, discovering it’s the 100th year since Raoul Wallensberg’s birth in Sweden, I re-visit the monument at the edge of a small, intimate, tropical garden. I took a few pictures. Today, I recall my astonishment at seeing his image in Melbourne. 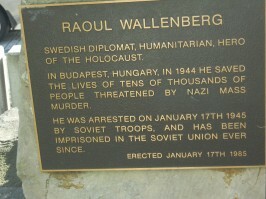 Raoul Wallenberg who attended and graduated from the University of Michigan in the 1930s. Thirty years later, I walked the same campus paths, but it was not until 1984, when asked for a contribution to The Wallenberg Endowment Fund, I began to know his story. You see, he rescued Jews in Hungary. It was 1945. Not a few Jews – thousands. And he did it alone. Even before the Endowment, only the second person so honored, he was made an honorary citizen of the United States. That was 1981. The first being Winston Churchill. Why? Because that honors-student in architecture, who hitch-hiked around America during school breaks, is the archetype of hero – one who risks life for people not known, and whose religion or race not shared. In 2011 the 21st Wallenberg Medal was awarded to Aung San Suu Kyi. Still restricted (less than a year ago) from travel from Burma, she spoke via Skype to the more than 700 people in Ann Arbor about fear, overcoming fear, hers and the fear despots experience attempting to maintain control. The 22nd Wallenberg Lecture, on October 23rd, will be delivered by Maria Gunnoe, described as a fearless advocate for environmental and social justice. Despite threats to her life as – too often the lot of advocates – she crusades against American coal industry practices. Only a week ago, I attended a presentation by Afghanistan’s youthful, Malalai Joya, a brash advocate for women; she has survived six attempts on her life. 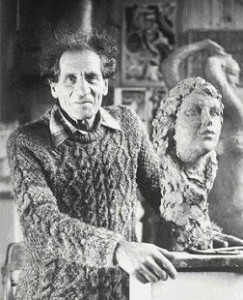 Karl Duldig became one of Australia’s most cherished sculptors. This was his last work. Raoul Wallenberg (1912 – ) had no opportunity to present, lecture or write about individuals making a difference. As a Swedish citizen, in Nazi-controlled Budapest, with diplomatic credentials, he quietly arranged safe houses and gave all the exit visas possible to every Jewish person he could reach until he was taken into Russian custody and disappeared. His disappearance remains one of the great unsolved mysteries of the Second World War. The monument, bringing all this to light again, was the last work of Karl Duldig (1902 – 1985), a sculpturer, evacuated to Australia in 1940. Previous article: OPEN CALL for Art Submissions! !